Vancouver, British Columbia, Canada – HAWKEYE Gold & Diamond Inc. (the “Company” or “HAWKEYE”) (TSX.V-HAWK; Frankfurt Ticker: HGT; WKN: A12A61 ISIN: CA42016R3027): is pleased to announce the completion of its 2018 Phase One work program at the McBride Property, strategically located in the Golden Triangle of northwestern BC. The work was carried out by a crew from C.J. 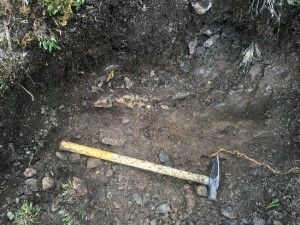 Greig and Associates (CJG) and the program included geochemical and geological mapping. A total of 301 soil, 4 stream sediment and 40 rock samples were collected from the property. 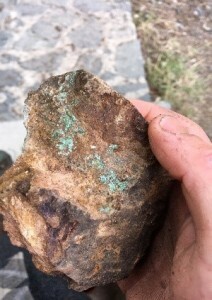 Several new copper-mineralized zones were discovered during the Phase One work, including malachite-stained, chlorite and iron carbonate-altered intrusive rocks hosting fine-grained disseminated chalcopyrite on the western part of the property, and malachite and chalcopyrite in quartz-carbonate veins within volcaniclastic rocks on the northern part. 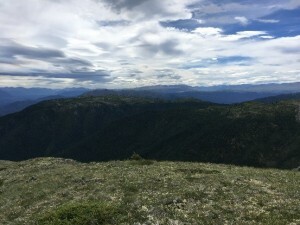 The McBride Property is contiguous with the Red Chris Mine property of Imperial Metals to the south, and only 18 kilometres east of GT Gold’s exciting “Saddle” discovery, where significant gold values were reported in recent drill campaigns. The McBride Property totals 2,635 hectares and is located approximately 12 kilometres east-northeast of the Village of Iskut, BC, Canada. The principal geological units underlying the McBride property, like Hawkeye’s Todagin and Boomerang properties, as well as those held by GT Gold and Imperial Metals, is underlain by Triassic and Jurassic stratified rocks of the Stuhini and Hazelton groups, which commonly host structurally-controlled precious and base metals mineralization that is associated with intrusive-related porphyry systems. All soil, silt and rock samples have been delivered to ALS Global’s preparation facility in Terrace, BC for precious metal and multi-element analysis. ALS Global in North Vancouver, British Columbia, Canada, is a facility certified as ISO 9001:2008 and accredited to ISO / IEC 17025:2005 from the Standards Council of Canada. Technical information in this news release has been approved by Andrew Mitchell, B.Sc., P. Geo., a senior geologist with CJG and a qualified person for the purposes of National Instrument 43-101. Mr. Mitchell has prepared, reviewed and validated that the technical information contained within this release is accurate.